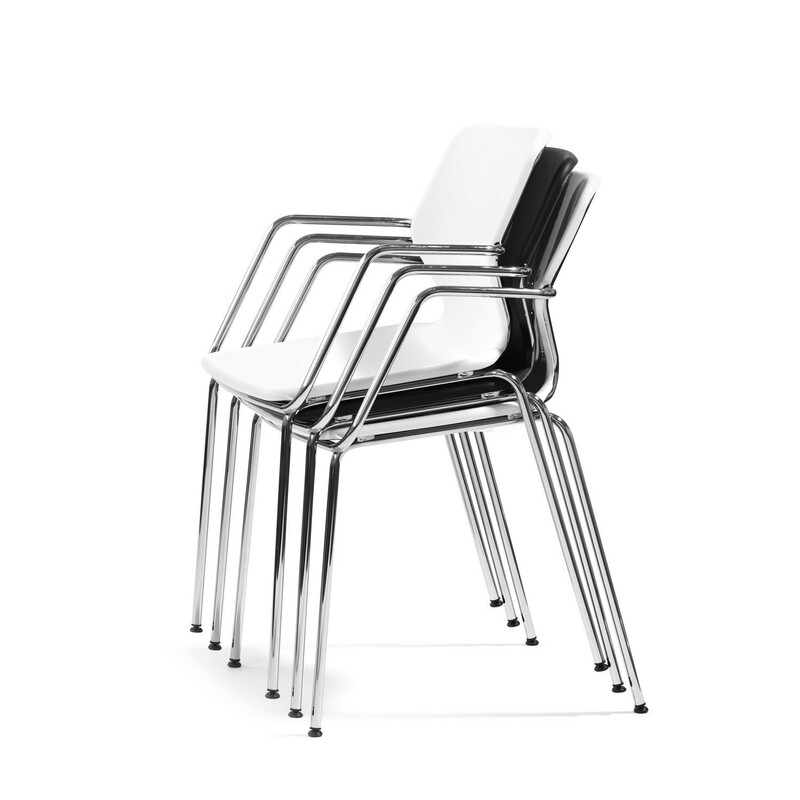 In the creation of Boo, Stefan Borselius delved deep into the process of optimising a comfortable seating shell for different kinds of bodies. 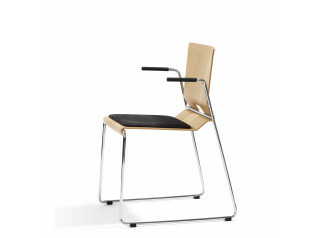 Unusually comfortable and ergonomic, it takes weight of the pelvic bones and supports the small of the back. 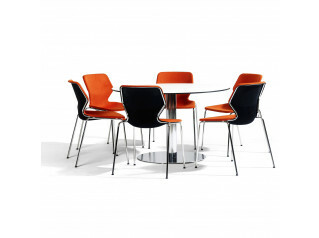 Boo Armchair O49A is suitable for a variety of interiors such as conference rooms, meeting rooms and canteens. 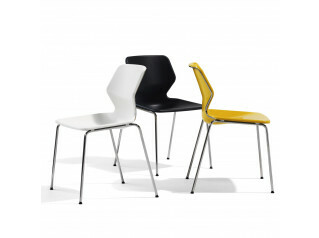 Boo O49A Chair is stackable, with a seat shell in vacuum formed ABS-plastic. 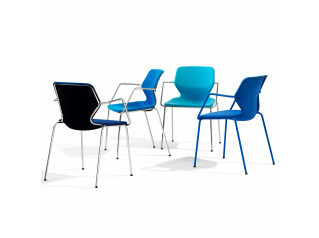 Boo's legs are made out of “green” chromed, Chromium III, or black lacquered tubular steel. 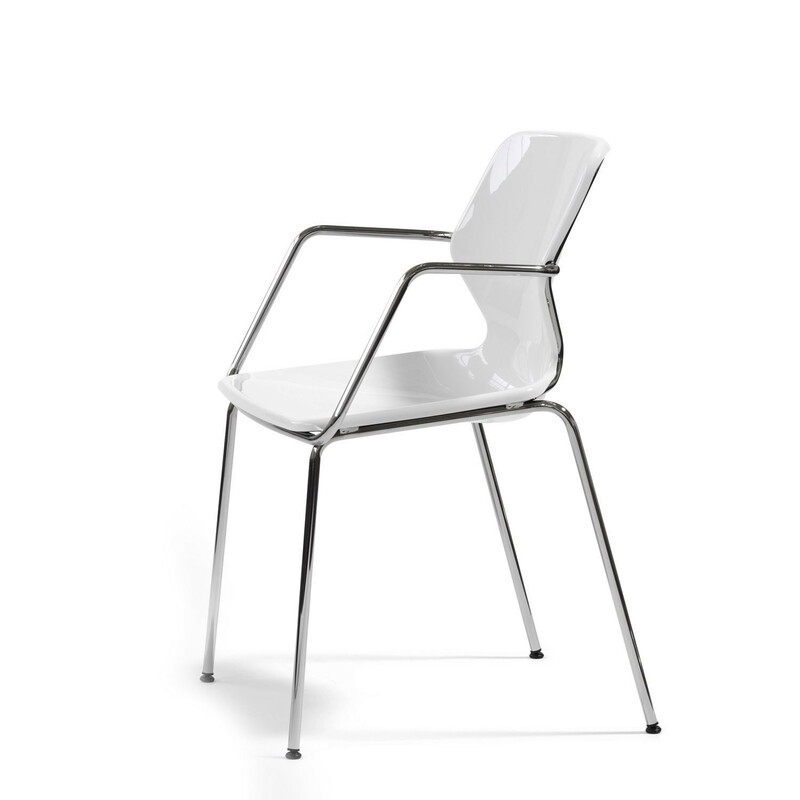 With flexible acetal plastic feet. 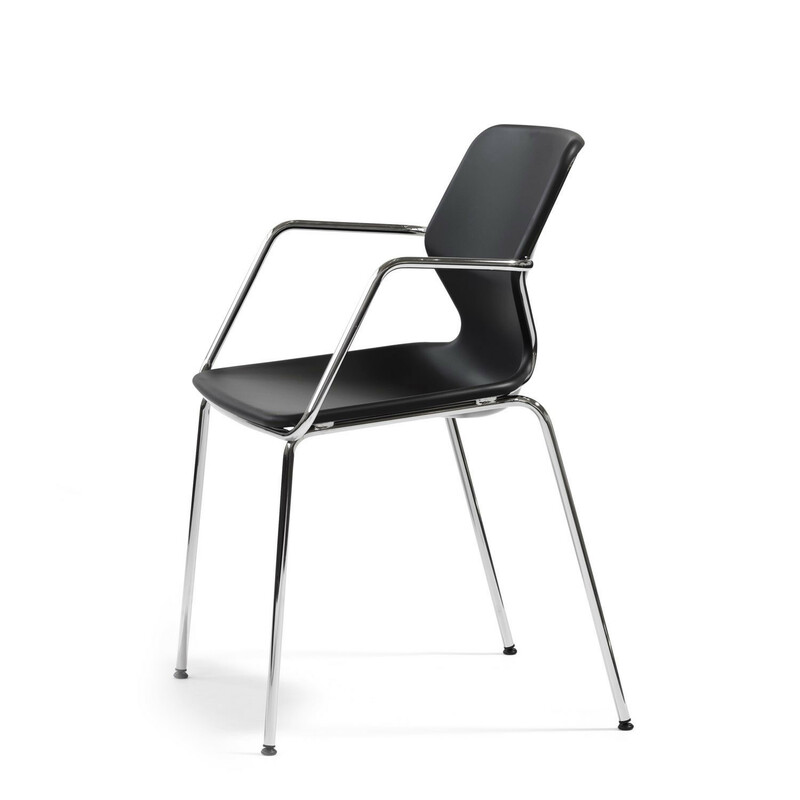 In 2008 Boo 048 in formfelt was awarded with the Swedish design award, Design S.
Black lacquered steel legs. Flexible acetal plastic feet with felt pads. Foot glides suitable for carpets. 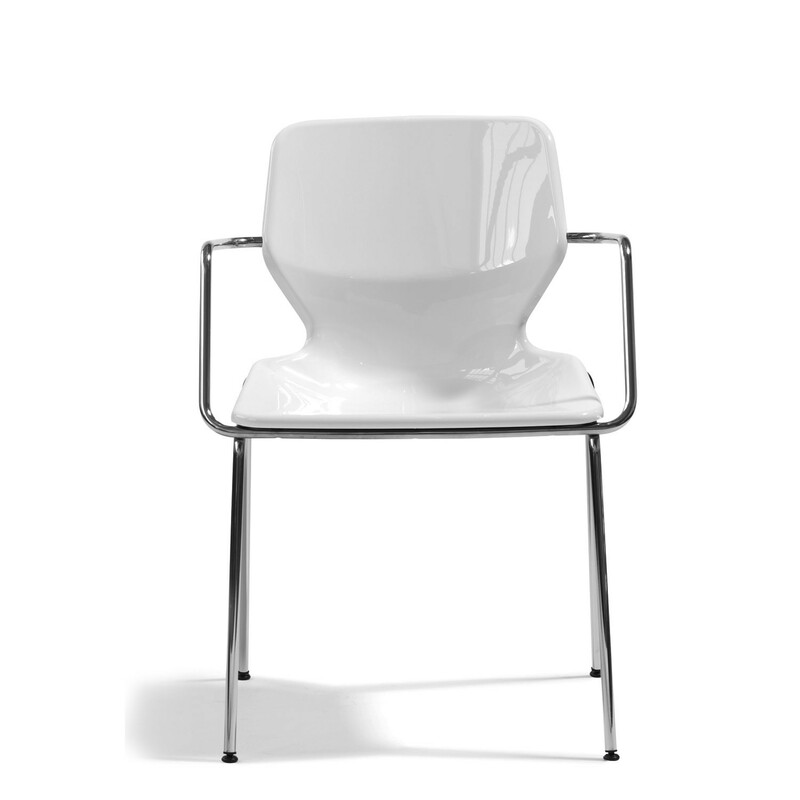 You are requesting a price for the "Boo Armchair O49A"
To create a new project and add "Boo Armchair O49A" to it please click the button below. 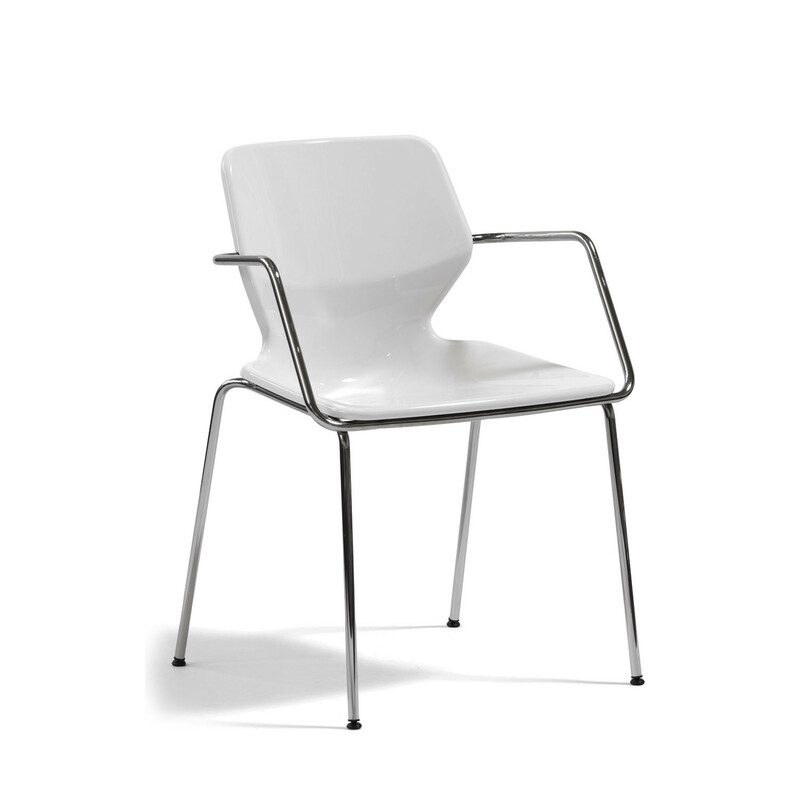 To add "Boo Armchair O49A" to an existing project please select below.